Nunavut Premier Eva Aariak announced Thursday she will not seek a second term, but there are close to 200,000 reasons why she may consider changing her mind. It may surprise some to learn that the premier of Nunavut, which has a population of roughly 32,000, earns $193,499, according to figures from the recent "Who Earns What" issue of Maclean’s magazine. Aariak is actually the fourth highest-paid premier in Canada, topping leaders of several bigger provinces (by population) like British Columbia, Quebec, and Saskatchewan. Alberta Premier Alison Redford tops the list with a salary of $211,000, followed by Ontario Premier Kathleen Wynne at $209,272 and Nova Scotia's Darrell Dexter at $196,103. Of course, the cost of living is much, much higher in Canada's North. Food prices are sky-high and other manufactured goods like clothing cost considerably more because they must be shipped thousands of kilometres by plane or ship. Aariak, just the territory's second leader since its founding in 1999, says she will run in the territorial election on Oct. 28, but won't allow her name to stand for premier. Under Nunavut's unique consensus form of government, elected members of the legislature meet to choose their leader by secret ballot. 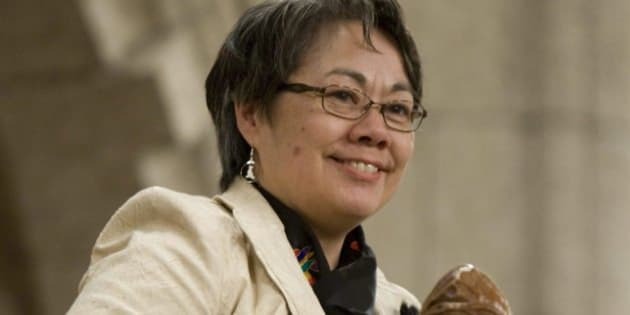 The 58-year-old representative for Iqaluit East became premier in 2008 after defeating Paul Okalik, but now thinks five years in the top job is enough, telling CBC North Radio it was "somebody else's turn." "It's a big commitment," she said. "I want people out there who are thinking about running as premier to have enough time." According to Northern News Services Online, members of Nunavut's legislative assembly earn a base salary of $90,396, with additional pay for sitting in cabinet or on committees. That’s actually more than the $87,631 a year that Yukon Premier Darrell Pasloski earns. Aariak's administration has seen major policy initiatives around education and health, including a territorial policy on suicide prevention, a major problem in Nunavut. Her government has also extracted a promise from Prime Minister Stephen Harper to open negotiations on transferring control over Crown lands and resources to the territory. Check out the slideshow below to learn just how much your premier earns each year.